The perfect symbol of love or friendship. 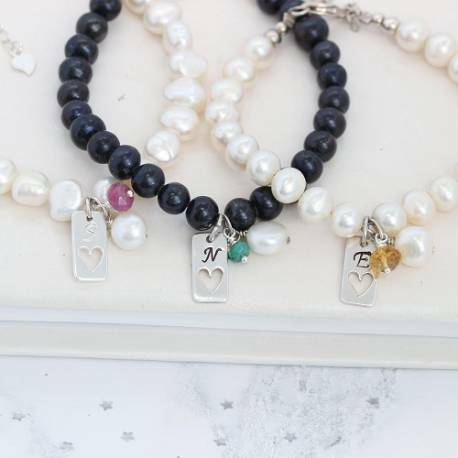 This personalised white or black pearl bracelet has your chosen initial, hand stamped onto a sterling silver rectangle tag with a cut-out heart. 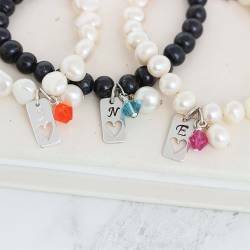 These personalised pearl and silver charm bracelets will make unique and individual gifts for your bridesmaids. Alternatively this would make a beautifully personalised gift for a loved one or a friend, either as a leaving present, birthday, Christmas or just a little pressie from you to them. 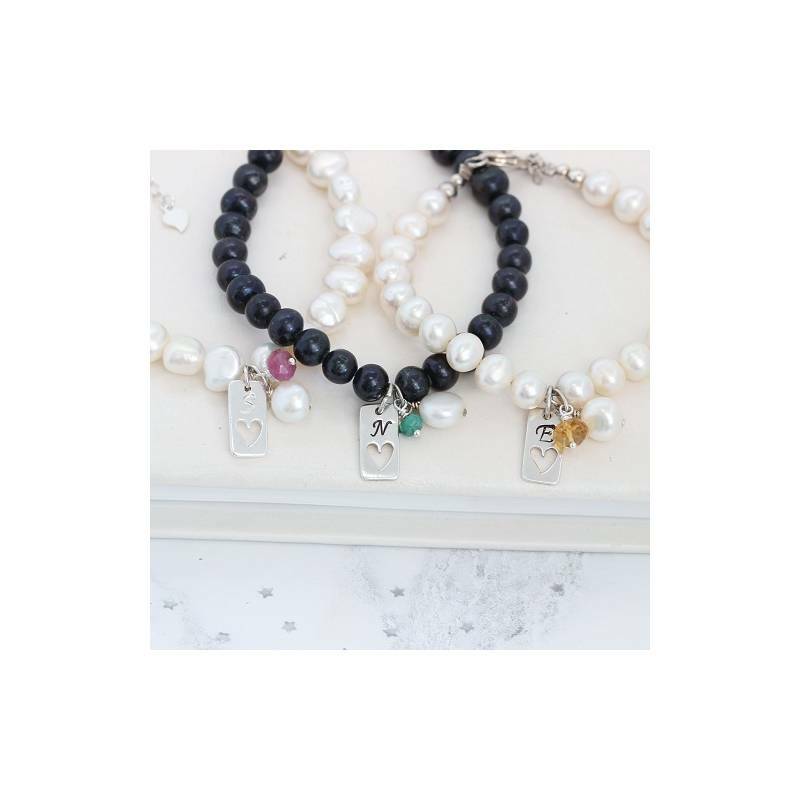 The silver charm can be hand stamped with her initial and patinised so it stands out (black finish) or we can eave it silver (clean finish) for a more subtle look. The font used is upper case Calligraphy and the letters and numbers are approx 3mm high. We can stamp one initial onto the front of the rectangle charm. 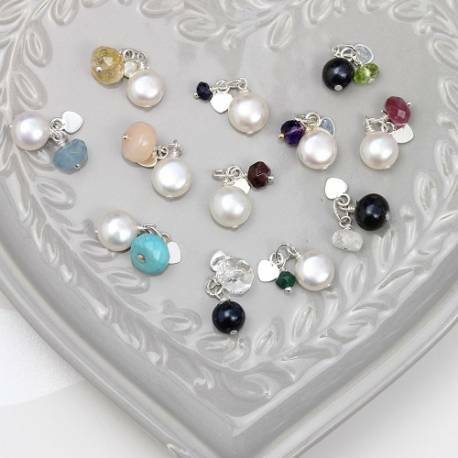 It is complemented by a cluster of a gemstone birthstone, pearl and a tiny silver heart. The gemstones are genuine faceted gemstones and so the more expensive ones such as sapphire are smaller than the others. The size of the faceted rondel is given below. Given they are natural they may vary slightly from the images shown. You can also choose the shape and colour of the pearls in the bracelet. There are round or a beautifully lumpy baroque shaped pearls. All bracelets will be finished with a Sterling silver trigger clasp and extension chain. So you can get the perfetc fit. The rectange is approximately 15mm by 7mm, with the loop it hangs approx 21mm. Pearls approx 7-8mm and the bracelets measures approx 18cm-21cm.